Tiles’ color differences of one and the same species / breed is the distinctive special feature of the natural material, which the natural stone is. There is a permissible range of differences in the color, which can estimate only specialist. The Buyer should previously discuss with the supplier the degree of possible deviations, looking at as many as possible granite examples. There are stones more uniform in the color or can be different in their color. This color can change its nuances from the brighter to the darker and vice versa. But the raisin” is precisely in this! When you choose tiles for the facing of surfaces in the moist accommodations (tank rooms, showers, ponds, external input groups) it is necessary to keep in mind, that the majority of the stone forms with the prolonged contact with the water can change its color. First of all, this relates to the porous and heterogeneous marble. Furthermore, some kinds of granites and marble can contain the starts of the ferrous minerals, which, without being protected, reacting with the water, in the course of time also can produce a change in the color of revetment. 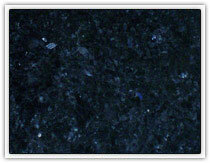 Granites is suitable for zones with the intensive operating conditions as the outdoor coating. Marble requires more cautious withdrawal and the operation. In this case in the moist accommodations is recommended precisely the marble, but not granite, since. marble has more porous (microcellular) structure, and it less slippery than granite. Natural stone - this is the complex material, which has special features in view of its natural origin and it can be estimated only by specialists. It’s very difficult sometimes for customer or even architect to estimate the quality of facing material, which he likes due to its aesthetical properties for the concrete interior or the exterior. Therefore we recommend to receive any kind of consultations from our managers, who are experienced enough in work with different breeds for the varied conditions for operation. Facing tiles can be produced of different sizes, thickness and configuration. Correct or irregular geometric shape. There are several forms of tiles’ surface treatment: polished, grinded, absolutely sawn finish, heat-treated or flamed, and split finish also. The polished type of the tiles’ front surface gives a mirror shine to natural stone, so that objects reflect in granite. The stone reaches original colour and unique figure due to polishing finish. Mainly the floors, steps, window-sills, etc polish, which made from granite.